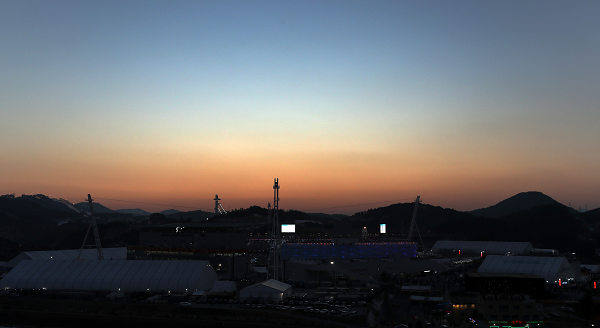 ▲ The sun sets on the PyeongChang Winter Olympics. Photos courtesy of the Korea.net Flickr photostream. 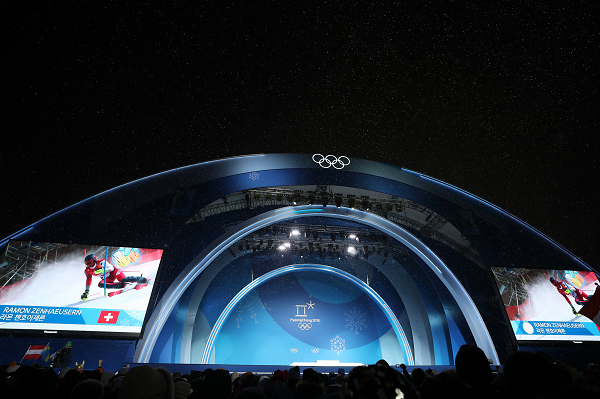 The Games of the 23rd Winter Olympiad came to an end on Feb. 25 with the closing ceremony. 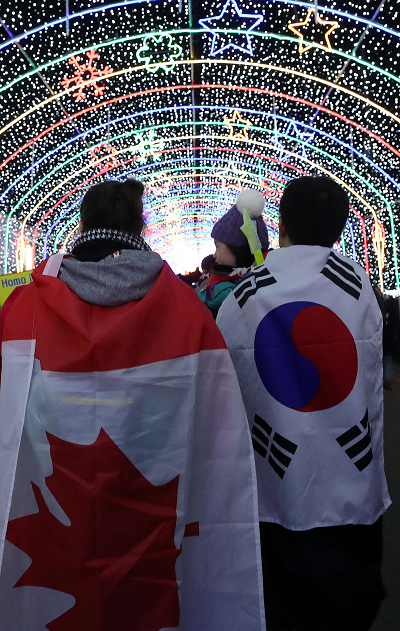 For many, these Games are considered one of the greatest in recent memory, and, to be sure, there were more than a few memories created in Pyeongchang. Once again, the major theme of last night’s sendoff was one of peace and hope. Over the past two weeks, many have said that the Korean peninsula has a bright future ahead. In the closing ceremony, as was the case during the opening ceremony, North and South Korean athletes marched together in a show of unity which many hope will lead to stronger inter-Korean relations in the near future. Korea finished the final day by picking up a pair of silver medals - one in the four-man bobsleigh, and one in women’s curling. The curling stars, now known as the “Garlic Girls,” began the competition as an afterthought and rose to become one of the most inspiring stories of these Olympics. The squad were given their name due to the fact that all the athletes come from the Garlic farming area of Uiseong and two of the squad are even sisters. Despite coming into the Olympics ranked eighth in the world, the group of close friends put in a series of outstanding performances that captured the imagination of Korea and saw them eventually reach the final. ▲ Photos courtesy of the Korea.net Flickr photostream. 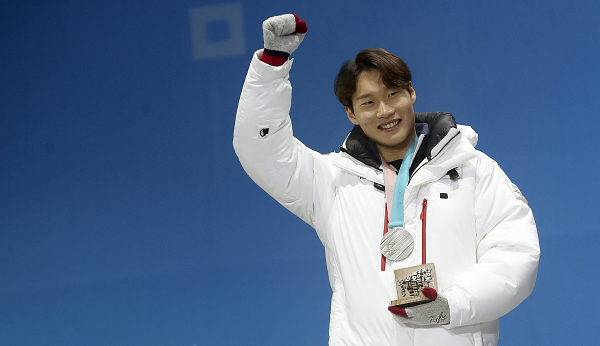 Korea will remember these Games for those who defined them for the home country - Lim Hyo-jun and Choi Min-jeong in short track, Yun Sung-bin in skeleton, and Lee Seung-hoon in speed skating all found their way to the top of the podium, as did the women’s 3000-meter short track speed skating team. These Games will also be remembered because of the unified women’s hockey team, which at the start of the Games was a hot-button issue as some of the players and coach Sarah Murray did not warm to the idea of players from the North being included after not having earned their roster spots on a performance basis. However, when it came time to say goodbye, the tearful farewells between the two sets of players meant it became immediately apparent what the team had accomplished as the first unified team at the Olympics for Korea in any sport. “It just shows what we did was really special,” coach Murray began. “We can feel this way about the players and we’ve only been together for three weeks. It says something about our team. It’s really special,” she finished. Korea finished the Games with a total of seventeen medals, its highest overall total ever, winning five gold, eight silver, and four bronze. However, this did not live up to the expectations which had been set before the Games. According to a Yonhap news report, the goal was for the host country to win at least eight gold medals and secure a top-four finish in the medal standings. With the Olympics now over, it remains to be seen what sort of path will be carved in the near future for the peninsula, as there is much still shrouded in uncertainty despite participation from the North in Pyeongchang. There have been reports that president Moon has been invited to Pyongyang for talks with Kim Jong-eun, but nothing has yet been confirmed. If there is to be a legacy for which this Winter Olympics is to be remembered by, it would most likely be that it has planted a seed which could one day lead to the long-awaited reunification of the two Koreas, although there is still much to be done in order for dream to become reality.